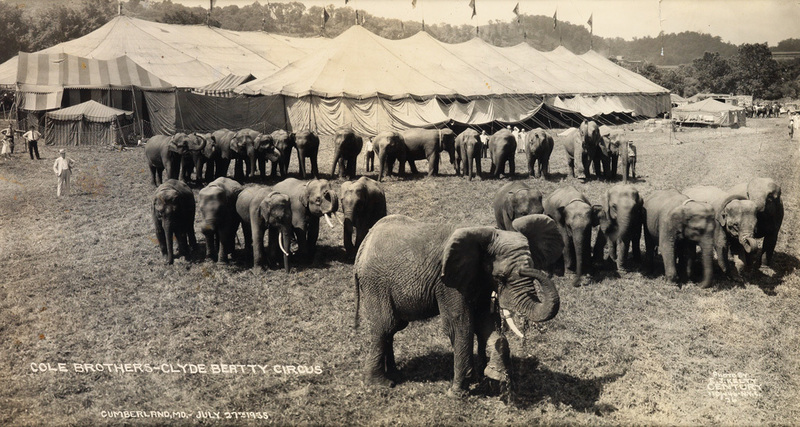 The circus has always been considered a place full of optical and quite mystical beauty. 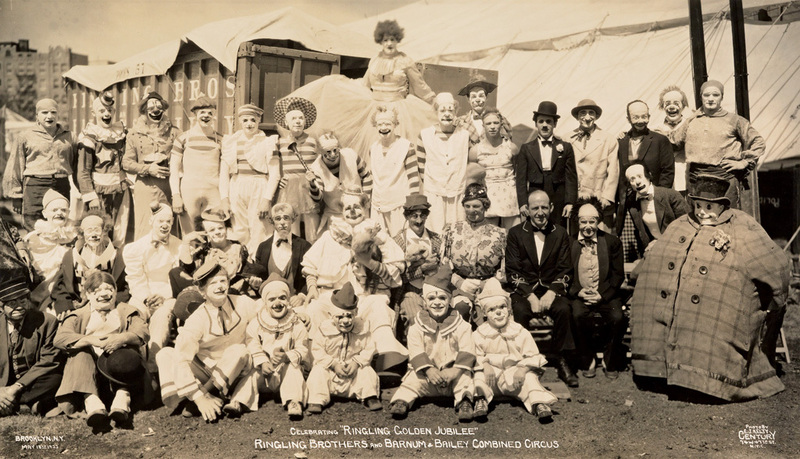 When the Ringling Brothers and Barnum & Bailey merged in 1919 they had already presented the audience with clowns and acrobats making them the most basic ingredient of a circus. Together, they managed to become “The Greatest Show on Earth”. That happened long before an FX anthology series introduced “freak shows” into pop culture. Rarely could stunt-oriented acrobats, bearded ladies, contortionists and sword swallowers be seen performing at that time. This “ghostly carnival” gave the audience a taste of adventure, weirdness and physical strength. 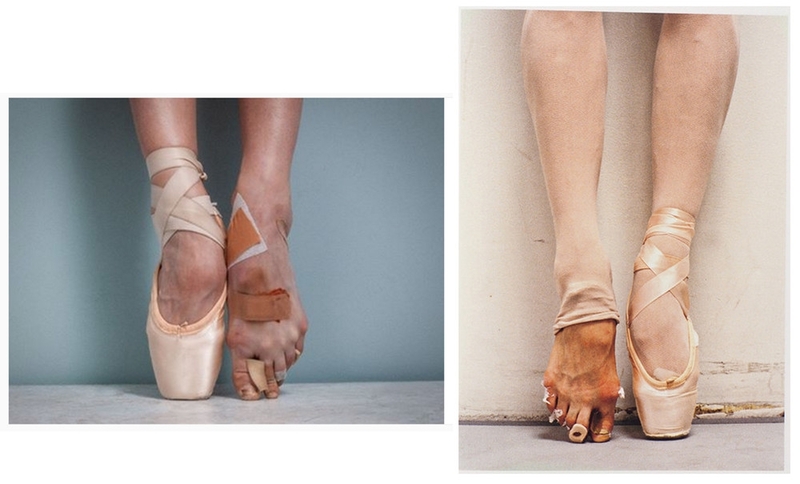 This month, we will be presented with a series of such images which will be auctioned for collectors in New York. They are a part of Alan Siegel’s collection. All of them are panoramic and monochromatic group photographs taken by Edward Kelty ( 1888-1967) in the 1920’s and 30’s. Particularly interesting is the one of a kind X-ray image of Ajax, a sword swallower back then, the moment he is swallowing a sword. 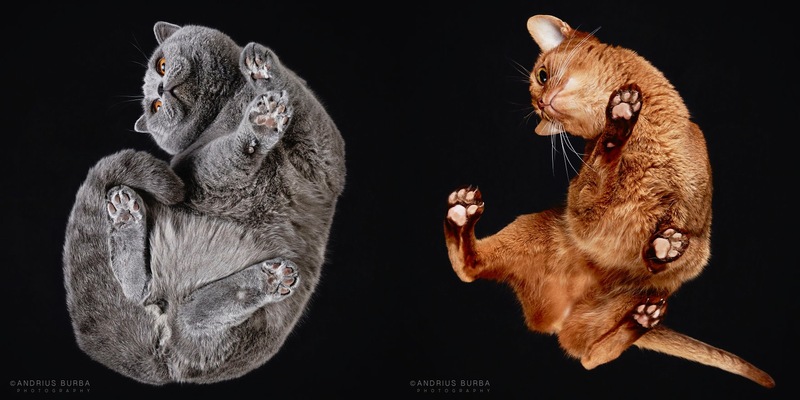 Feast your eyes on these unique images. Sale 2374 Lot 33: KELTY, EDWARD J. 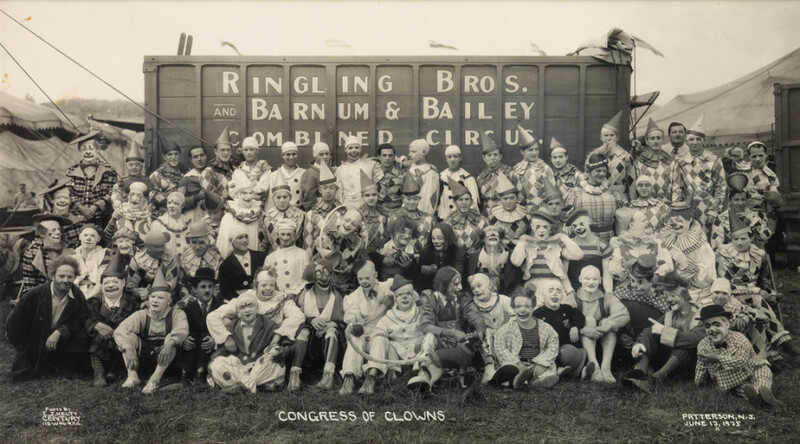 (1888-1967) “Congress of Clowns.” Panoramic silver print, 11 1/8×19 5/8inches (28.3×49.9 cm. ), with Kelty’s credit, title, and date in the negative, and with 2 duplicate examples of his Century Circus Photographer hand stamp on verso. 1935. Estimate $3,000 – 4,500. From the Collection of Alan Siegel. This print has been exhibited at the Herbert F. Johnson Museum of Art at Cornell University. One Man’s Eye: Photographs from the Alan Siegel Collection, p. 40. Sale 2374 Lot 30: KELTY, EDWARD J. 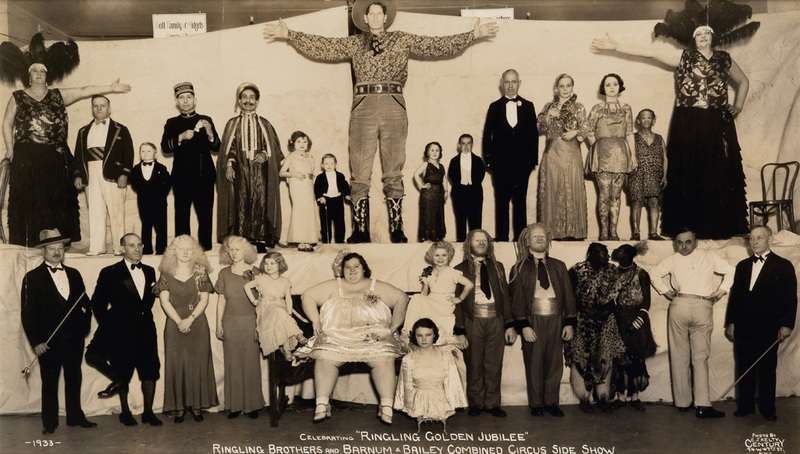 (1888-1967) “Celebrating ‘Ringling Golden Jubilee’ Ringling Brothers and Barnum & Bailey Combined Circus Side Show.” Panoramic silver print, 11 1/8×19 1/2 inches (28.3×49.5 cm. ), with Kelty’s credit, title, and date in the negative, and with 2 duplicate examples of his Century Flashlight Photographers hand stamp on verso. 1933. Estimate $4,000 – 6,000. From the Collection of Alan Siegel. Sale 2374 Lot 31: KELTY, EDWARD J. 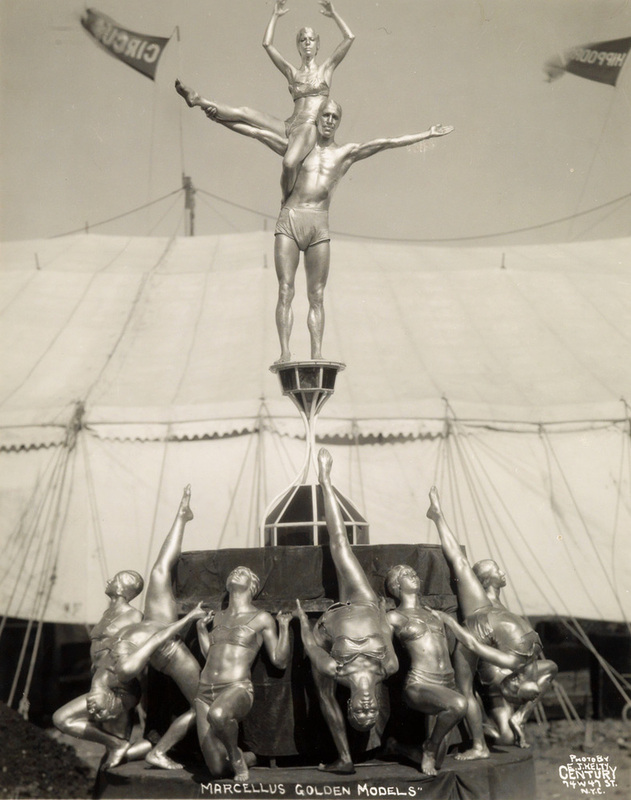 (1888-1967) “Marcellus Golden Models.” Silver print, 11 1/4×8 7/8 inches (28.6×22.5 cm. ), with Kelty’s credit and title in the negative, and with 2 duplicate examples of his Century Circus Photographer hand stamp on verso. 1933. Estimate $2,000 – 3,000. From the Collection of Alan Siegel. Sale 2374 Lot 34: KELTY, EDWARD J. 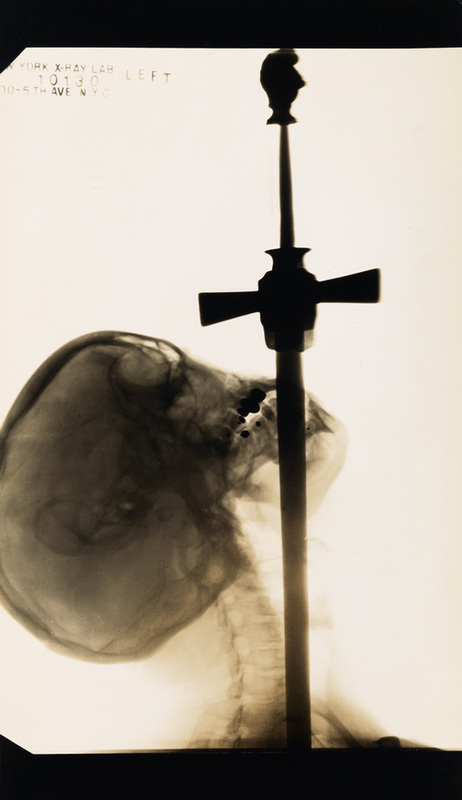 (1888-1967) X-ray of Ajax, the sword swallower. Silver print, 18×11 inches (45.7×27.9 cm. ), with a New York X-ray lab credit in the negative, and with 2 duplicate examples of his Century Flashlight Photographers hand stamp on verso. 1928. Estimate $2,000 – 3,000. From the Collection of Alan Siegel. Sale 2374 Lot 38: KELTY, EDWARD J. 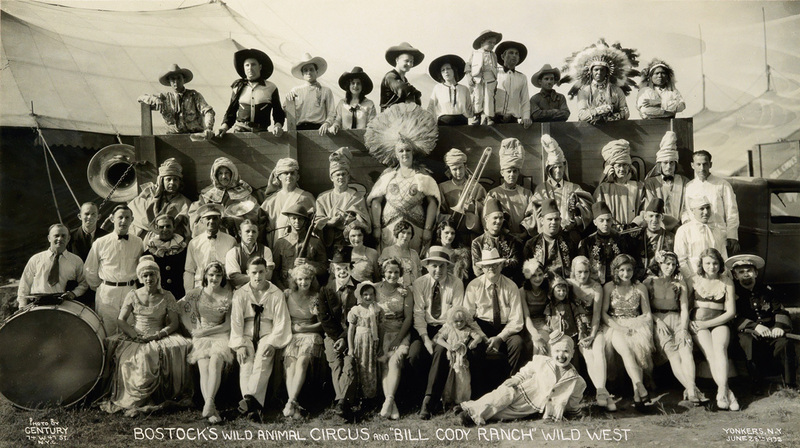 (1888-1967) Group of 8 stunning panoramic photographs of the circus, with the Hanneford Family, the Hagenbeck-Wallace Circus Executive Staff, the Ringling Brothers and Barnum & Bailey Circus workers, George Denman and his Staff, Tommy Atkins and his Riding Maids, James Whalen and his Big Top Department, the Congress of the World’s Rough Riders, and a copy of a montage of the Sells-Floto Circus staff. Silver prints, each approximately 11 1/4×19 5/8 inches (28.6×49.9 cm. ), most with Kelty’s credit, title, and date in the negative, and each with 2 duplicate examples of one of his hand stamps on verso; 2 with an International Center for Photography label on frame verso. 1929-35. Estimate $12,000 – 18,000. From the Collection of Alan Siegel. One Man’s Eye: Photographs from the Alan Siegel Collection, pp. 166-67. Sale 2374 Lot 32: KELTY, EDWARD J. 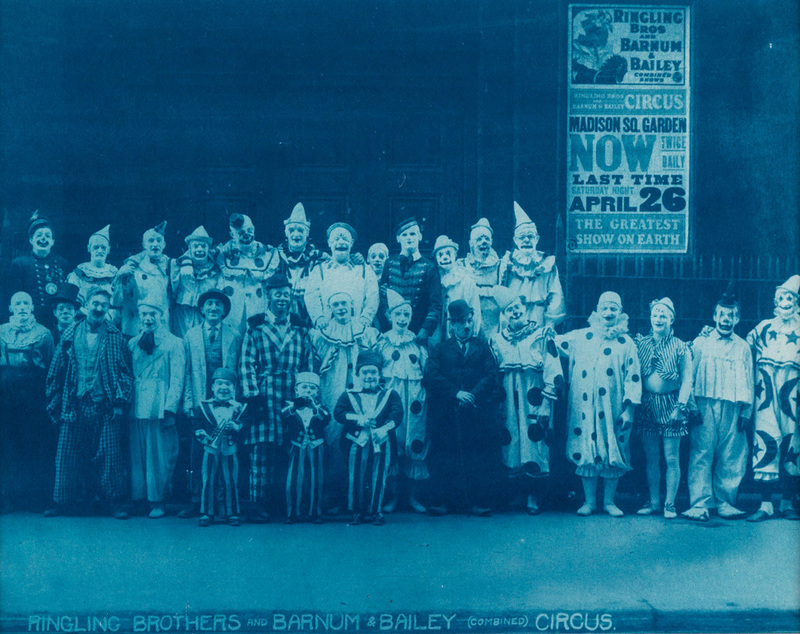 (1888-1967) “Ringling Brothers and Barnum & Bailey (Combined) Circus” (clowns behind Madison Square Garden). Cyanotype, 7 3/8×9 1/4 inches (23.8×23.5 cm); with International Center of Photography and Bonni Benrubi labels on frame verso. Circa 1925. Estimate $4,000 – 6,000. From the Collection of Alan Siegel. Sale 2374 Lot 37: KELTY, EDWARD J. (1888-1967) Group of 7 stellar panoramic photographs, comprising the U.S.W.P.A. 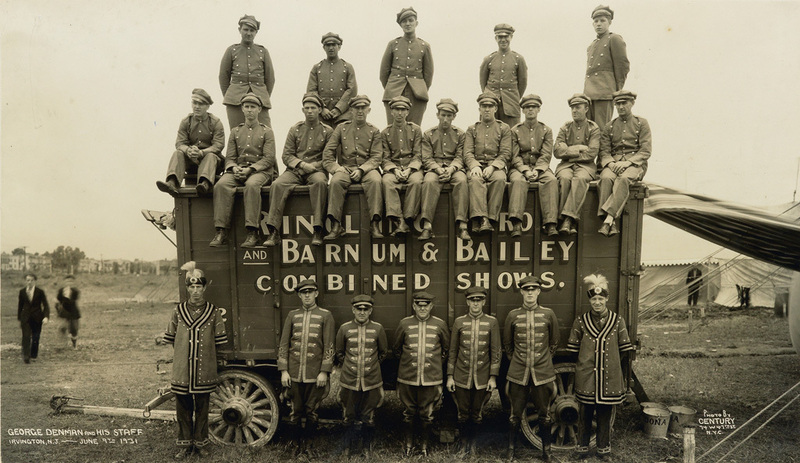 Federal Theatre Circus Unit, a Ringling Golden Jubilee group portrait, a Hagenbeck-Wallace group shot, a group of Ringling Brothers and Barnum & Bailey clowns, Bostock’s Wild Animal Circus, Tim McCoy’s Congress of Rough Riders, and world-renowned acrobats. Silver prints, each approximately 11 1/4×19 5/8 inches (28.6×49.9 cm. ), each with Kelty’s credit, title, and date in the negative, and each with 2 duplicate examples of his hand stamp on verso; 2 with an International Center for Photography label on frame verso. 1932-36. Estimate $15,000 – 25,000. From the Collection of Alan Siegel. Sale 2374 Lot 35: KELTY, EDWARD J. 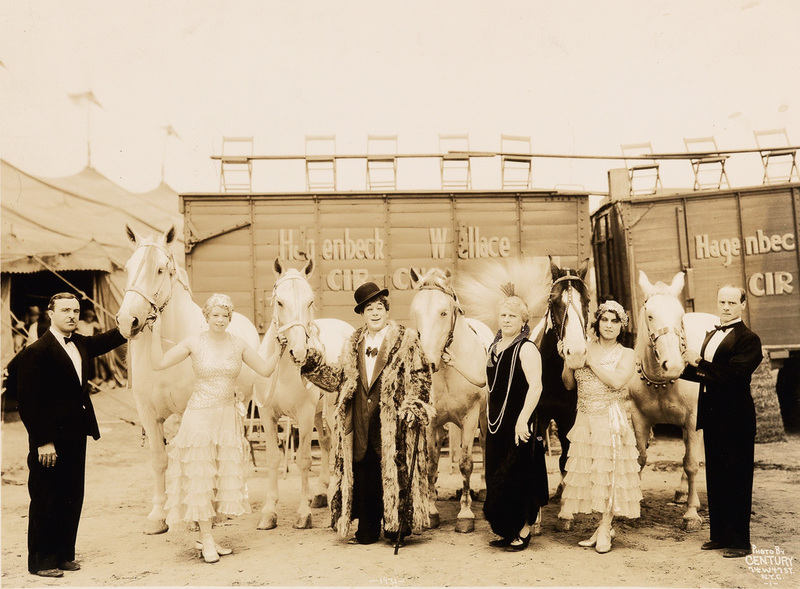 (1888-1967) Group of 3 panoramic photographs of ladies of the circus, with Mary Ellen Ketrow-Star of Kay Bros. 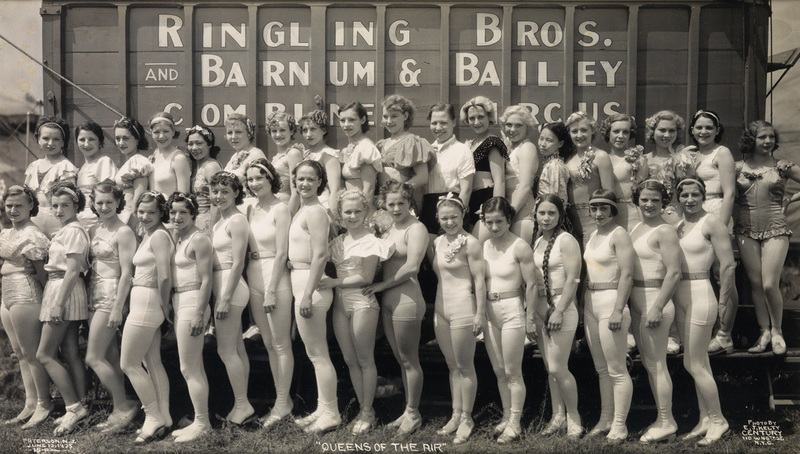 Circus, Queens of the Air; and Col. W.T. Johnson’s World Champion Cowgirls. Silver prints, each approximately 11 1/4×19 5/8 inches (28.6×49.9 cm. ), each with Kelty’s credit, title, and date in the negative, and 2 with 2 duplicate examples of his Century Circus Photographer hand stamp on verso; one with an International Center for Photography label on frame verso. 1935-36. Estimate $4,000 – 6,000. From the Collection of Alan Siegel. The photograph of Col. W.T. 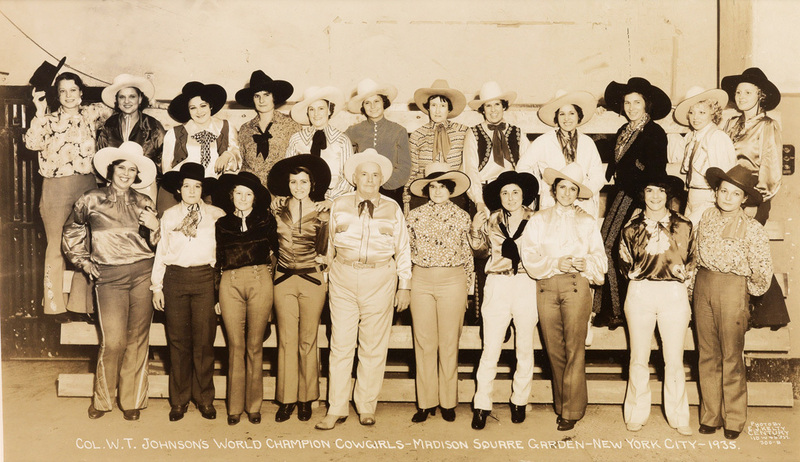 Johnson’s World Champion Cowgirls was exhibited at the International Center for Photography. Sale 2374 Lot 36: KELTY, EDWARD J. (1888-1967) Group of 4 animal-centric circus panoramas, with elephants out front of the Cole Brothers-Clyde Beatty Circus, an exterior shot of Sam B. Dill’s Circus with horses in the background, an interior look at the Hagenbeck-Wallace Circus with elephants lying down and a full audience in attendance, and an interior view of Ringling Brothers and Barnum & Bailey Combined Menagerie with elephants, zebras, camels, and giraffes. Silver prints, each approximately 11 1/4×19 5/8 inches (28.6×49.9 cm. ), each with Kelty’s credit, title, and date in the negative, and each with 2 of his hand stamps on verso; 2 with an International Center for Photography label on frame verso. 1933-35. Estimate $5,000 – 7,500. From the Collection of Alan Siegel.